Cooking en papillote (in parchment paper) is so easy, requires no oil, and results in tender, flaky fish! Place sole fillets on individual squares of parchment paper. 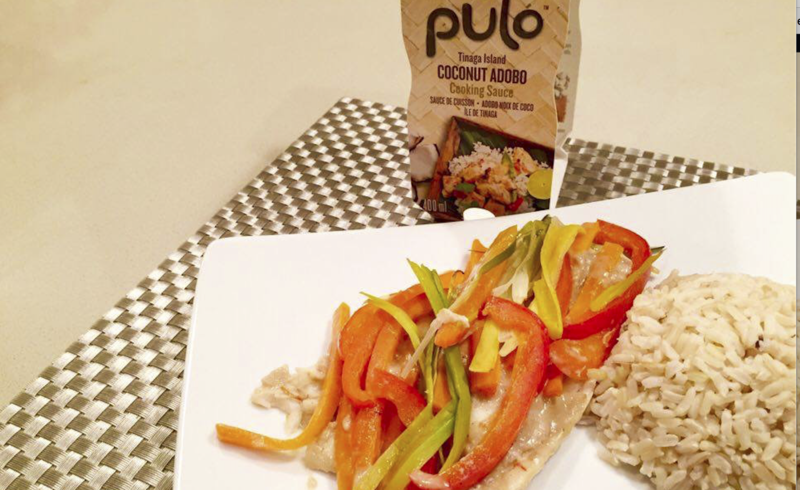 Drizzle 3 tablespoons Pulo Cuisine Coconut Adobo cooking sauce on each portion. Topped with each one with julienned carrot, leek and peppers. Fold the parchment paper so it’s sealed and no steam escapes, bake at 400F for 15-17 minutes. Leave packages for a few minutes before opening as it will be hot. Quick and delicious, and you can use any fish and vegetables you like.